Coming through the toughest economic contraction since World War II, we stuck to our strategy, to our long view of the future. Despite the downturn, we kept making smart investments that put us far ahead of any competitor. We kept breaking technological ground to give our customers better service and to make our operations more sustainable. 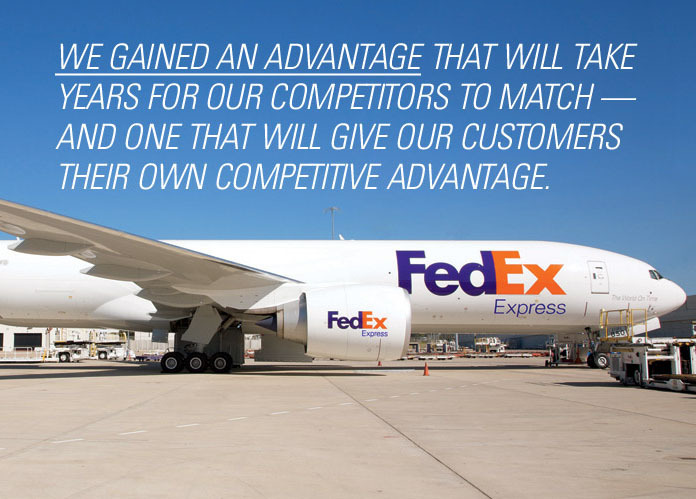 We worked as a team to keep our Purple Promise — to make every FedEx experience outstanding. 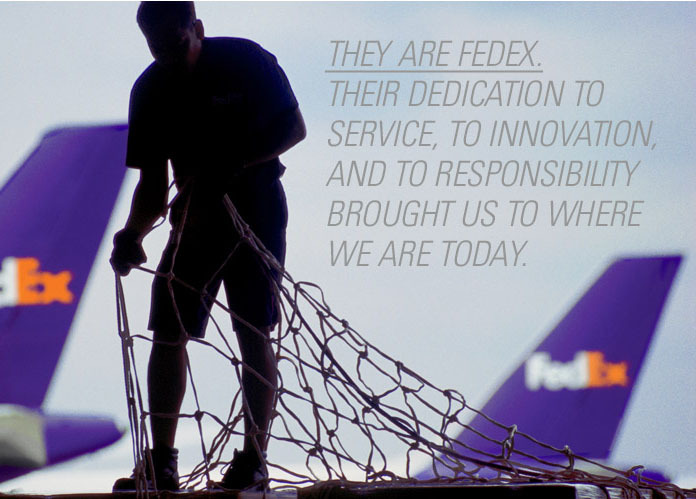 The greatest thanks for these achievements go to more than a quarter million FedEx team members around the world. As we moved through the downturn, we cut billions in costs to adjust to the “new normal.” Every FedEx team member was asked to share in that sacrifice. But today, I’m pleased to report that we’ve restored many compensation programs and 401(k) matching contributions. By sticking to our long-term strategy, combined with our cost-reduction efforts, we finished FY10 with positive momentum. In the first half of the fiscal year, earnings were down year over year, but in the second half, major global economies began emerging from the recession, and our volumes grew accordingly. We finished the year strong with net income of $1.2 billion. Our share price rose by more than 50 percent over the course of the fiscal year, outpacing the S&P 500, the Dow Jones Industrial Average, and the Dow Jones Transportation Average. Over the years, we have built a business model that allowed us to adjust shipping capacity to demand. In other words, we’ve built quite a few “shock absorbers” into our networks, and when the downturn hit, they cushioned our results. We have also built and maintained an exceptionally strong balance sheet. We made calculated decisions during the recession to leverage our unique global network and be ready to take advantage of the economic recovery we knew would come. One of those decisions involved using state-of-the-art Boeing 777F aircraft on Asian routes. The 777F sets the new standard for freighter aircraft. No other company in our industry flies these planes nonstop across the Pacific Ocean. Because we do, our customers now have more of that irreplaceable commodity — time. The more than 280,000 FedEx team members whose dedication helped our company emerge from the downturn stronger than ever are one of the most diverse and talented workforces in the world. 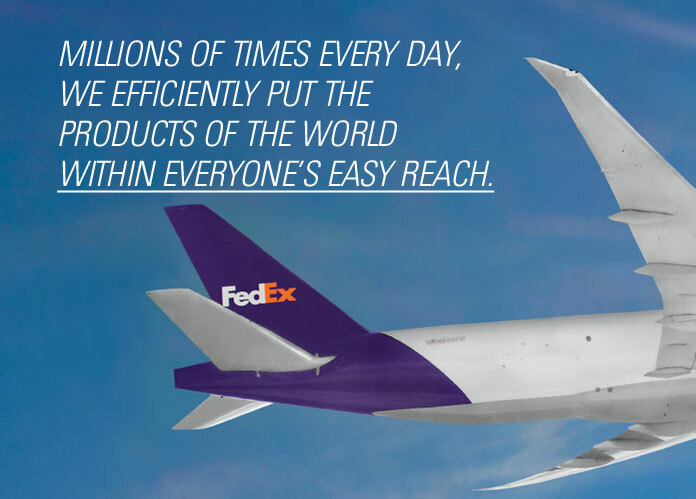 FedEx pioneered global just-in-time supply chains, and these aircraft represent a giant step forward. Our 777Fs give FedEx customers a meaningful edge in the modern global marketplace. We can now fly directly between Asia and the United States with no refueling stops. FedEx is the first in its industry to fly Boeing 777Fs, the world’s largest twin-engine cargo planes, nonstop across the Pacific, giving us (and our customers) an advantage it will take years for competitors to match. The idea to turn the 777 passenger plane into a freighter was first sketched on a napkin a few years ago during a meeting between FedEx Chairman, President and CEO Fred Smith and executives at Boeing. At full capacity, the 777Fs are 18 percent more fuel efficient than the MD-11s they replace. They can fly from Shanghai to Memphis without refueling, which means we can extend our shipment cutoff times and give customers with global, just-in-time supply chains more time. A 777F can carry nearly 14,000 more pounds of freight than the MD-11, helping handle the fast-rising volumes of traffic coming out of Asia. Under the right circumstances, FedEx would like to have at least twenty-two 777Fs in service by 2014 and another 16 by 2020. “With the MD-11, the flight schedule was from Shanghai to Anchorage for refueling and then to Memphis,” says Li Tao, a senior ramp agent in Shanghai. “Now that we use the 777F, we have a nonstop flight from Shanghai to Memphis. The flight leaves Shanghai two hours later, so the cutoff time for our customers is also two hours later.” And in global commerce, two hours can change the game for a business. The very first FedEx plane to take to the skies was named Wendy, after the daughter of company founder Fred Smith. That first flight in 1973 started a tradition: Every FedEx aircraft (today more than 650) is named for the child of a FedEx team member. The first Boeing 777F to fly for FedEx Express is named Saad, after the young son of New Jersey-based input auditor Kashif Zia. Here is his story. This gives our customers later cutoffs to prepare shipments in an era when every extra minute is critical. Many companies’ strategies depend on inventory turning over at maximum speed and new goods moving directly to customers — even if they have to move all the way across the Pacific Ocean. Under the right circumstances, FedEx would like to have at least twenty-two 777Fs in service by 2014 and another 16 by 2020. The 777Fs fly farther on less fuel, and they carry nearly 14,000 more pounds of freight than the MD-11s they replace. Put those things together, and they create a meaningful advantage for FedEx: a steep reduction in cost and emissions per unit transported. The 777Fs are the most visible examples of how, during the worst recession in our history, we kept investing to produce real value for our customers, their customers, and for us. We also continued replacing our 727s with 757s, which have 47 percent lower fuel consumption per pound of payload, greater operational efficiencies, and lower maintenance costs. And we expanded the list of countries where we operate branded FedEx Express domestic services to include India, along with the United States, China, Canada, Mexico, and the United Kingdom. At FedEx Ground, we continued network expansion and accelerated transit times. Since 2002, FedEx Ground has opened nine new hubs, featuring the most advanced material-handling technology. We’ve expanded and/or relocated more than 500 local facilities. What’s the payoff? It’s a boon to FedEx, too. FedEx Ground’s average daily package volume has increased by more than 50 percent, from 2.2 million daily packages in 2003 to more than 3.5 million in FY10. On the other hand, it was a tough year at FedEx Freight, but we have a strategy in place to turn things around. Essentially, since the economic downturn, too much less-than-truckload (LTL) capacity has been chasing too little inventory. This put downward pressure on prices and resulted in lower profits. Our focus now is to balance growth and yield. 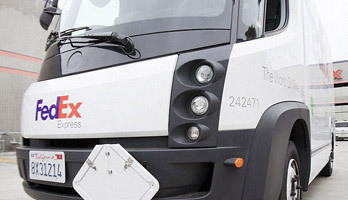 Having integrated our Freight Sales and Customer Service units with FedEx Services during FY10, we are now able to do so in more exacting and efficient ways. In addition, we’re reducing costs and improving productivity, for example, in our pickup-and-delivery and linehaul operations. Our long-term goals for FedEx Freight are to be the premier LTL provider, to be the market leader, and to be the most profitable carrier. We are confident we have the strategy, leadership, and resources in place to achieve our goals. FedEx helped Agilent Technologies realign its supply-chain network, enhance processes and integrate shipment processing systems. In January, we launched FedEx International DirectDistribution Ocean Solutions, which can replace a maze of shipping channels with one global distribution command-and-control center. Through this service, we can pick up shipments at factories or container yards in Asia or Europe, consolidate them, forward them by ocean transport, provide customs brokerage service in the U.S. and Canada, then handle final delivery to multiple destinations via FedEx Ground, FedEx SmartPost, FedEx Freight, or FedEx Custom Critical. In April, we introduced FedEx Electronic Trade Documents (ETD), which lets customers submit customs documents electronically, which reduces paper usage and saves them time and money. FedEx ETD is available for shipments to 71 countries, and we plan to expand its reach as fast as possible. FedEx Office has rolled out an alliance with Canon/HP that means deployment of more than 12,000 new state-of-the-art printing and production machines in all 1,800 U.S. FedEx Office centers over the next few years. This alliance will also open doors for new customer-facing solutions such as smart phone printing and other creative publishing solutions. Our retail network is an increasingly important channel for express and ground shipping. Also, FedEx Office has completed its rebranding and is now testing different store prototypes to identify the best model for the future — the one that makes it easier for customers to access what they want and for our team members to do a better job of selling our shipping and business solutions. The entire history of our company is built around a singular vision: to make it possible for people and businesses to connect and collaborate with each other, no matter where they are in the world. We know from years of research and inquiry that Access has the power to change millions of lives for the better. We work constantly to expand Access. Every year, we do that more responsibly and resourcefully, and FY10 was no exception. In this regard, we continue to promote the great advantages of open global markets to political leaders and the public. We’ve devoted a great deal of time this past year to advocating a shift in how our nation powers its transportation sector — by using electricity as the power source for short-haul ground vehicles. Electricity is diverse, domestic, stable, and a fundamentally scalable energy source with fuel inputs almost completely free of oil. Vehicle miles fueled by electricity emit less carbon than those fueled by gasoline, even if all of the electricity used to charge the vehicle is generated through conventional sources. High penetration rates of grid-enabled vehicles — propelled in whole or in part by electricity drawn from the grid and stored onboard in a battery — could radically reduce oil consumption in the United States. Electric vehicles would strengthen our economy, reduce national security and economic risks, and dramatically reduce emissions of greenhouse gases. 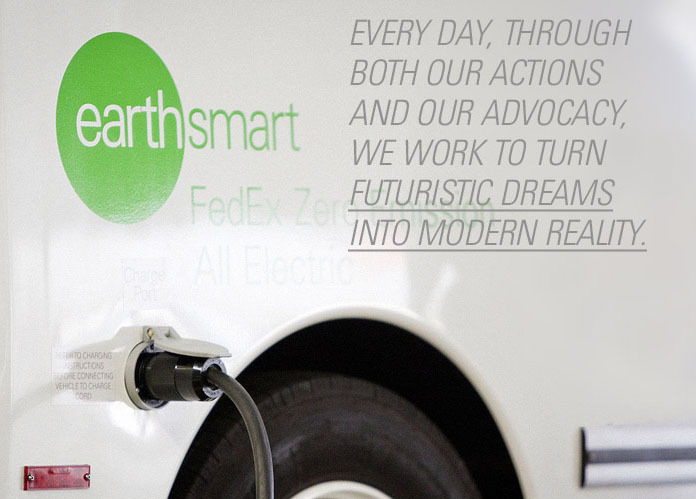 Today, we have our industry’s largest fleet of hybrid electric package-delivery trucks. We’re still expanding that fleet, but not just by buying new hybrids. We’ve also learned how to expand the useful lives of some conventional diesel trucks by retrofitting them with hybrid electric drive trains. We’ve worked with Modec and Navistar to develop a new all-electric commercial delivery truck that we’re now using in London and Los Angeles. These electric delivery vehicles are particularly well suited for densely populated, moderate-climate urban areas, where they cut our direct operating costs by 60-80 percent per vehicle mile. As the capital costs of these electric vehicles come down — and their battery capacity and range go up — we’ll be able to convert more of our fleet. Of course, no one has figured out (just yet) how to power freighter aircraft with electricity. David Hong is a courier for FedEx Express in Los Angeles. 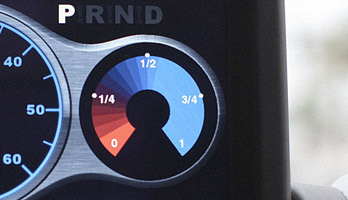 He drives the first all-electric Modec truck in the United States. David’s truck weighs only 5,500 pounds, about half the weight of the diesel truck he drove before getting behind the wheel of the Modec. David “fills up” with electricity by plugging his truck into a charging station outlet. Aviation represents a great opportunity for a transition to renewable fuel sources, if only because the infrastructure requirements are much lower. There are about 250,000 gasoline or diesel fueling points in the world, but there are only about 1,700 major aviation fueling points. Transitioning aviation to alternative fuels will be much easier than surface transport if renewable fuels become cost effective. The prospects look brighter every day, with jet fuel already being produced from algae and plants such as jatropha and camelina, albeit at cost levels that are not yet competitive with petroleum. I can’t write about such far-reaching goals without offering our deepest thanks to Judy Estrin, the chief executive officer of JLabs LLC, whose more than 20 years of service on our Board of Directors will end with her retirement in September at our annual meeting. Her deep knowledge of science, information technology, and innovation made her counsel extremely valuable to our company. We make about eight million deliveries every day, but we deliver more than packages, freight, and business services. We deliver the opportunity for people to live the way they want to live. We deliver access to global supply chains and marketplaces. New advances bring our “30 by 30” goal closer to reality every day. 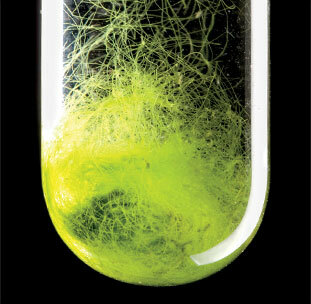 Jet fuel is already being produced from algae (above) and from plants such as jatropha and camelina. This creates value not only for our shareowners, but also for other stakeholders, whose lives we touch daily. 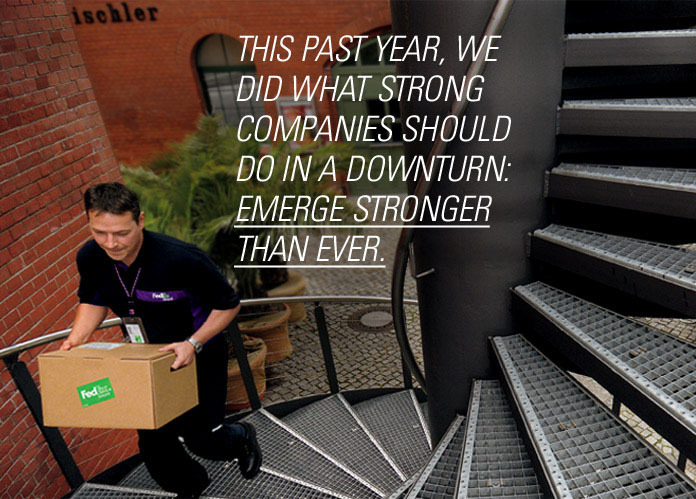 FedEx moves into FY11 in a strong position as the global economy recovers. Because we stayed focused on smart investments, service, and responsibility during the downturn, we believe we will increase earnings, cash flow, and capital returns as the global economy expands. Learn more about the FedEx team members — more than 280,000 strong—whose dedication to service, innovation, and responsibility keeps our business strong. Learn why our 777Fs are the most environmentally progressive freighters in the air today. 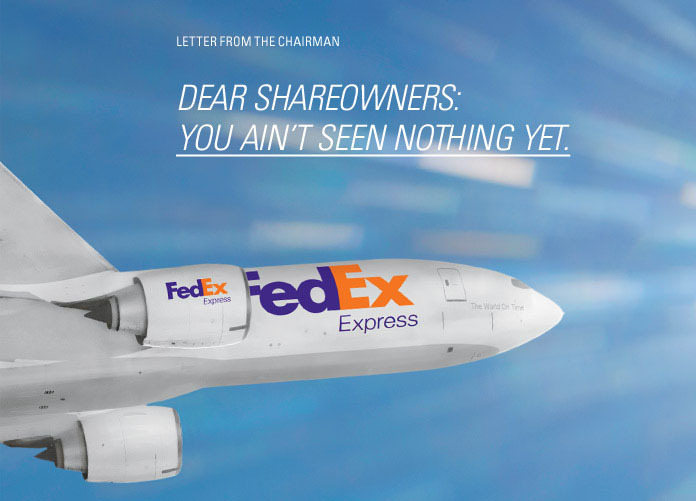 Watch FedEx Chairman, President and CEO Frederick W. Smith talk more about the short- and long-term impacts of converting the company’s light-duty fleet to electricity in this interview with Chris Anderson, editor in chief of Wired magazine. Algae does what wind energy and solar panels can’t: replace the gas we put in our tanks — and potentially, the fuel we put into our jets. Read more about the race to scale up this potentially game-changing fuel alternative.